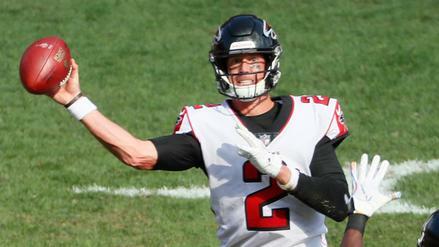 Matt Ryan is set for a big day in a divisional matchup with the Tampa Bay Buccaneers. Who should you be surrounding him with this week on DraftKings? Roster construction will be interesting in Week 6, as we get three games with an over/under of 52 or more. That includes a Atlanta Falcons-Tampa Bay Buccaneers game (57.5 over/under) that should be ripe with fantasy points in their two passing games. Do you start there first, or should you build around running backs with large workloads? Matt Ryan ($6,800): Among all players on the 12-game main slate, Matt Ryan carries the highest projection regardless of position. And while that also makes him the top point-per-dollar value, it's difficult to pay all the way up at quarterback, especially this week given the tight pricing on DraftKings. While that likely takes Ryan out of cash games for most players, he's easily a top play in tournaments. According to the Heat Map, the Falcons (30.25) are the only team with an implied total over 30 points. They are also playing at home as three-point favorites. The opposing Buccaneers have the second-worst pass defense by numberFire's schedule-adjusted metrics. Prior to last week's blowout defeat on the road against the Pittsburgh Steelers, Ryan had scored more than 31 DraftKings points in three consecutive games, all of which came at home. Jameis Winston ($5,800): Even though quarterback ownership tends to be spread around quite a bit most weeks, it doesn't take a lot of imagination to see why Jameis Winston is likely to buck the trend in Week 6. After serving a three-game suspension for violating the NFL's personal conduct policy, Winston will make his first start of the season, coming off a bye week and on the road against the Falcons. In addition to this contest having the largest over/under on the Heat Map, Atlanta's injury-riddled defense is the worst overall unit in the league -- and third-worst against the pass -- by our schedule-adjusted metrics. Despite drawing this fantastic matchup, Winston is only 10th in quarterback salary and, to the surprise of no one, a top value by our projections. Baker Mayfield ($5,500): Through five games, the Los Angeles Chargers have allowed an average 284.2 passing yards per game to opposing quarterbacks. In fact, they are the only team thus far that struggling rookie quarterback Josh Allen has been able to throw on for more than 200 yards. Now the Chargers will travel from the west coast to the eastern time zone to face the Cleveland Browns and the best rookie quarterback in the class, Baker Mayfield. According to Sharp Football Stats, the Chargers' surprisingly poor pass defense is 18th in success rate against the pass and dead-last in limiting explosive passes. Just last week, although aided by overtime, Mayfield completed 25 of 43 passes for 342 yards against the Baltimore Ravens, one of the best pass defenses in the league. These next five weeks set up extremely well for Mayfield, so tournament players will want to capitalize now before his game -- and salary -- really starts to take off. Joe Mixon ($7,500): At $10,000, it will be very difficult to squeeze Todd Gurley into cash game lineups. Below him, Christian McCaffrey ($8,300) and Melvin Gordon ($8,2000) are very tempting options given their large projected workloads. However, the every-down workhorse back that could go overlooked this week is Joe Mixon, who happens to be the most expensive running back playing at home in Week 6. The Cincinnati Bengals (27.50) have the third-highest implied total on the main slate and are slight 2.5-point favorites against the Steelers. Despite concerns over his conditioning upon returning from a minor knee surgery, Mixon was the only Bengals running back to record a carry last week at home against the Miami Dolphins. In three games thus far, Mixon has seen no fewer than 22 touches in each contest while exceeding 100 yards from scrimmage twice. T.J. Yeldon ($6,400): Not only will a hamstring injury cost Leonard Fournette several more weeks, but Corey Grant (foot) was placed on injured reverse with a season-ending Lisfranc injury. Veteran Jamaal Charles was signed earlier in the week, but that's unlikely to cost Yeldon any touches in this road matchup against the Dallas Cowboys. While Dallas is a top-five defense against the run by our metrics, Yeldon has seen five or more targets in all but one game this season, offering a safer floor in PPR scoring. Also, Dallas is coming off a game in which Alfred Blue caught 8 passes for 73 yards. 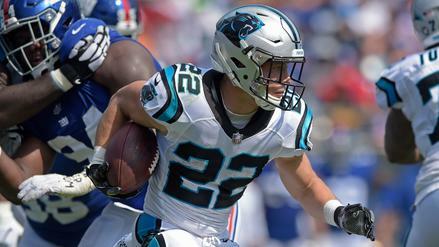 Earlier in the year, both Christian McCaffrey and Saquon Barkley were successful in the passing game when they faced Dallas. But don't count Yeldon out when he does carry the ball. According to the game charting done by PlayerProfiler, Yeldon is fifth in evaded tackles and sixth in juke rate. 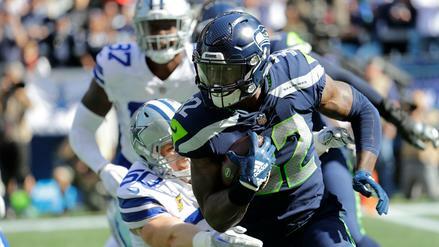 Chris Carson ($4,400): In a somewhat curious move, the Oakland Raiders waited until Thursday night to take a 10-hour flight to London. On the other hand, the Seattle Seahawks are a full day ahead of them as they opted to leave Wednesday night. However, Chris Carson may not need the travel narrative to hit it big this week. After all, Oakland is the eighth-worst run defense by our metrics. Over his last two games, Carson has seen 32 and 19 carries, respectively. On the downside, he only saw a total of three targets in those contests. After a strong showing in Week 4, when Carson was held out with a hip issue, Mike Davis was mixed in for a dozen carries in Week 5. However, Carson had the near 60/40 edge in terms of snap count. He's also been performing surprisingly well. PlayerProfiler ranks Carson sixth in evaded tackles, fourth in juke rate, and has credited him with four breakaway runs of 15 yards or more to date. Julio Jones ($7,900): A sub-$8,000 Julio Jones is likely to be the highest-owned player on the slate in all formats. 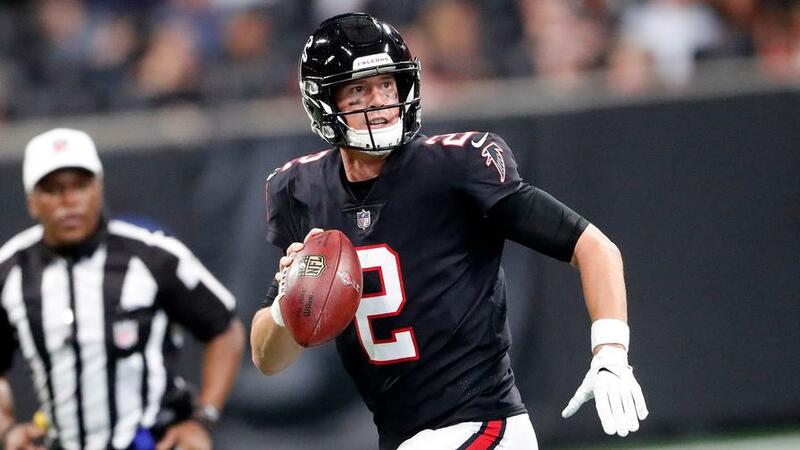 That's especially true given all the factors that make Matt Ryan such a strong quarterback play: Atlanta is playing at home in the dome and as favorites with the week's highest implied total. According to airyards.com, Jones is third in total air yards and leads all wide receivers in weighted opportunity rating (WOPR). Among those with more than 20 targets, his aDOT of 15.1 ranks 11th. Jones has yet to score a touchdown this season, but he has scored 10 of his 43 career touchdowns against Tampa Bay. In fact, what has become the longest scoring drought of his career began right after Jones last faced the Buccaneers at home. In Week 12 of last year, Jones exploded for 253 yards and 2 touchdowns on 15 targets and 12 receptions. Our projections can't be that bold, but they do have Jones as the top wide receiver value by hitting 100 yards on double-digit targets. John Brown ($5,500): Even though our projections have teammate Michael Crabtree as a top-five wide receiver value on the main slate, I think it's best to move this high level of optimism over to John Brown. Thanks to a massive 19.8 aDOT -- first among wide receivers with 20 or more targets -- Brown has a narrow lead for the most air yards in the league, according to airyards.com. Brown is coming off a game in which he saw a whopping 14 targets, yet his price dropped by $100 despite an upgrade in matchup. Through five games, the Tennessee Titans have seen four wide receivers exceed 100 yards against them, and their record against the pass might be even worse if not for two lower-scoring, grind-it-out games against the Jacksonville Jaguars and Buffalo Bills. Thankfully, Joe Flacco is second in pass attempts, meaning Brown -- who's averaging 10 targets over the last 4 games -- should have a decent number of opportunities to make big plays. Brown is probably best used in tournament lineups, but his price tag fits very well in cash games. Antonio Callaway ($4,000): According to Sharp Football Stats, the Chargers have allowed 26 explosive pass completions of 20 yards or more. That's only one fewer than the league-leading Kansas City Chiefs. As for Callaway, his playing time was set to be dialed back following a number of drops and mistakes in Week 3. 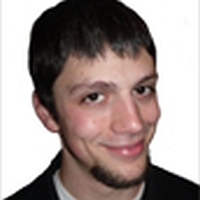 However, Rashard Higgins (knee) -- who caught 7 passes for 127 yards over the last 2 weeks -- has been ruled out and re-opens the door for Callaway to get back into the mix. While Callaway makes sense in tournaments, Chester Rogers ($4,500) is the volume-driven cash game play in this price range. Not only have the Indianapolis Colts listed T.Y. Hilton (hamstring) as doubtful for this game against the New York Jets, but Eric Ebron did not practice on Thursday and is listed with four different leg injuries. Cameron Brate ($3,700): Even though O.J. Howard (knee) has been a very limited participant in practice this week and the team is coming off a bye, it's hard to imagine he'll play after suffering a sprained MCL in Week 4. That would leave Cameron Brate as the lone tight end target for Tampa, playing on the road in the week's largest over/under. Brate will be the overwhelming chalk play at tight end, but just a week ago these same Falcons limited last week's chalk value tight end -- Vance McDonald -- to one reception for six yards. After hardly showing up in the box score for the first two games of the season, Brate has caught two touchdowns on only eight targets over Weeks 3 and 4. However, Brate came into the season with a total of 14 touchdowns over the last 2 years, so the elevated touchdown rate could easily extend into one of the week's best game environments. The natural pivot in tournaments is from the same contest and only costs $200 less in the Falcons' Austin Hooper. C.J. Uzomah ($3,000): In their first game without Tyler Eifert, the Cincinnati Bengals used C.J. Uzomah on over 90 percent of their snaps. According to PlayerProfiler, Uzomah was only targeted twice on just 14 routes run. More participation would have certainly been welcomed as the opposing Steelers have faced several teams that feature the tight end in the passing game. They've allowed a league-high 40 receptions to the position, which is a very big number given that only 5 other teams have seen more than 40 tight end targets. Because the top tight ends -- Rob Gronkowski, Travis Kelce, and Zach Ertz-- are not on the main slate there's very little to be had at the position this week. Assuming he plays through a back issue, Nick Vannett ($2,900) has been the primary tight end for Seattle the last two weeks and is another consideration in this price range. Houston D/ST ($3,500): Getting to face Josh Allen, easily the worst quarterback in the league, is sure to inflate the cost of each defense that plays Buffalo this season. In only four starts, Allen has thrown 5 interceptions and taken a stunning 16 sacks. Allen has only thrown for two touchdowns but has scored three rushing touchdowns. Over their last three games, the Texans defense has registered 10 sacks, 2 forced fumbles, and 2 interceptions. Those paying up at defense will also be looking at the Chicago D/ST ($3,300) on the road against the Miami Dolphins. Ryan Tannehill is really struggling at the moment, with only one touchdown pass, two interceptions, and three sacks over the last two weeks. Baltimore D/ST ($2,800): Despite the need to find value this week, there isn't much to be found near the bottom of the defensive options this week. Tennessee is near league bottom in points per game and Baltimore has only seen one team score more than 14 points against them thus far. However, the Ravens are on the road for the third straight week and will be playing their fourth road game in five weeks. It may not be ideal, but Baltimore has very little to fear in Marcus Mariota, who has more picks (four) and sacks (six) than touchdown passes (two) thus far.